While millions of refugees around the world lack hope of returning home, local integration in host countries has become a necessity and a gradual process with legal, economic, social and cultural implications. This is the underlying reason for the creation of OpenEmbassy, a winner of MIT’s Enterprise Forum Pan Arab Innovate for Refugees competition (IFR) in 2016. 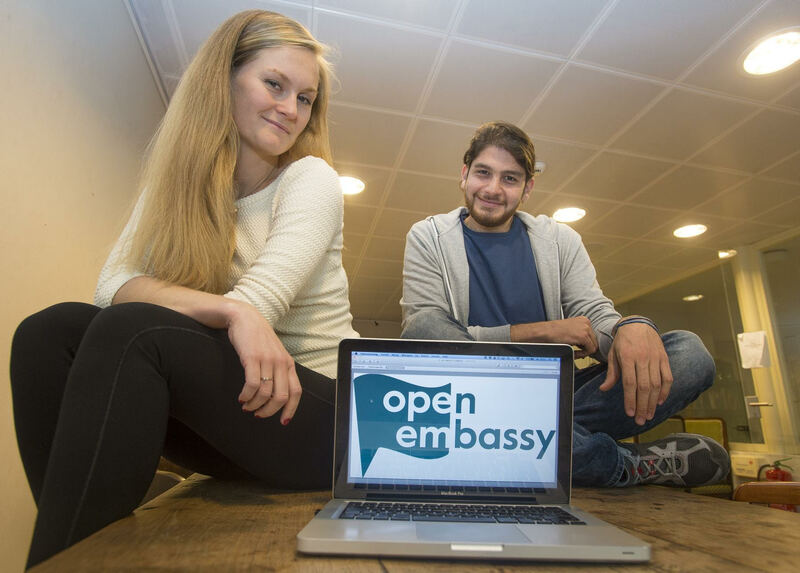 OpenEmbassy is an online helpdesk for status holders – i.e. individuals who have the appropriate papers and are therefore regularly residing in the Netherlands - based in Amsterdam. OpenEmbassy connects status holders with Dutch volunteers who answer questions about everyday life in the Netherlands. This helps refugees mingle with the Dutch society, and at the same time facilitates the complex and bureaucratic process of assimilation. “It is very important to all host countries to understand that new comers are not completely integrated in societies once they have been granted protected status. Becoming part of a new culture, with different values and social habits is a lengthy and complex process,” says Renée Frissen, the founder of OpenEmbassy, during an interview with the MITEF team. “For now, new comers face a complicated future. The complexities behind integration processes have left many government officials, NGOs, and scholars searching for the ‘right’ approach. Initiatives such as ours help all concerned actors in their strategies,” explains Frissen. In fact, the Dutch local and national authorities are benefitting from OpenEmbassy’s interaction with the refugees by collecting their data to redefine public policies. “We are proud of our strong, mutually reinforcing partnership with the government because the refugee crisis has become so highly politicized,” states Frissen. OpenEmbassy has therefore become the “middleman” connecting the new comers with the hosting people and government by helping status holders, and acting as a consultancy firm giving advisory support to top policy makers. In 2015, as many refugees from Syria, Eritrea, Iraq, and Afghanistan fled their war-torn countries seeking asylum in Europe, local NGOs and the municipality of Amsterdam sent appeals to volunteers to house the new comers (totaling 200,000) or to work in emergency centers. Frissen started volunteering in an emergency shelter where she met Ahmad Kabakibi, a refugee and a software developer from Syria, who fled his country after his university closed following the unrest and growing instability in Syria. A few months after helping out refugees, Frissen and Kabakibi realized how difficult it was for people to integrate into their new community. “We also realized how well connected the people were. People spent most of their time speaking over the phone with their loved ones back home. I wanted to break the stereotype that refugees know nothing and cannot use the internet, for example,” explains Frissen. Frissen and Kabakibi decided to join forces to build an online helpdesk where people could ask questions in chat rooms and obtain answers from Dutch volunteers. “Although newcomers felt fortunate to find safety in the Netherlands, Dutch rules and bureaucracy made them confused about how to face administrative mazes,” Frissen explains. “This is how the idea of creating this platform crossed our mind,” she continues. 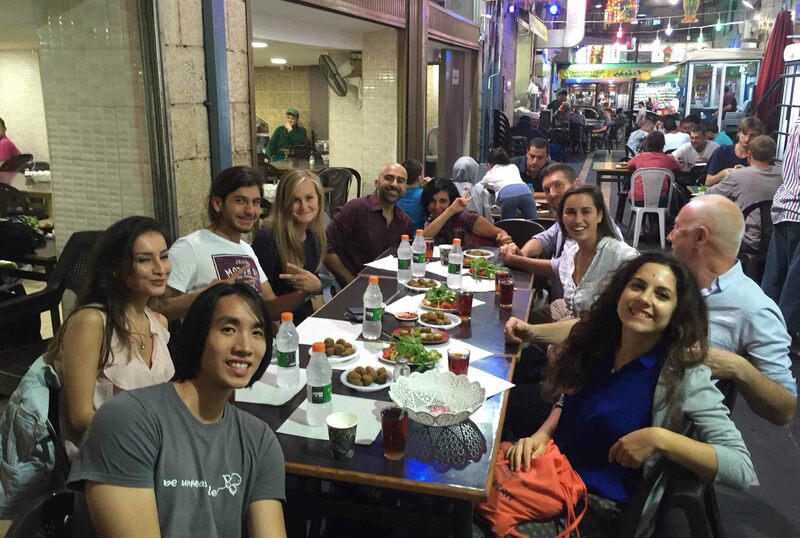 The small team started as volunteers in a café applying for grants. They first obtained a fund from SIDN, an independent Dutch foundation that helps increase the internet’s value to society and the economy. Then, they received 20,000 USD as a result of winning the MIT Enterprise Forum Pan Arab Innovate for Refugees competition (IFR) in its first edition, back in 2016. There were two main challenges: first, there was a risk that demands would be higher than what the small team could handle. This was solved after training and recruiting enough volunteers who could provide time to answer requests in a reliable manner. The second challenge was that while the help desk was in place, some people preferred having social media platforms, others the website itself. This required an administrator, which led the founding team to recruit a moderator/community manager to validate the answers provided by volunteers on different platforms. “Thankfully, we have built a trustworthy platform. So much so that the government recruited us as researchers to help in their policy making in support of the new comers, and their socio-economic integration. This consultancy work somehow secures our sustainability and the employment of key people,” says Frissen. Between the end of 2016 and mid 2018, OpenEmbassy has had 4,000 users on social media and 500 on the website. For the moment, the website is a test case for the Netherlands only. The long-term objective is to implement the same model in Germany, the United Kingdom, France and Sweden. “Innovate for Refugees gave us a lot of visibility, especially in the local media, which reinforced the credibility of our project, and paved the way for partnership agreements with the government,” says Frissen. The closing ceremony of the competition helped the team meet very interesting people, including their current Community Manager. “The competition offered us both connections and money,” concludes Frissen.